"Consistency breeds contentment in cats." Long, long ago, back when I was a preteen or a teenager, I read a book called It's a Cat's Life. 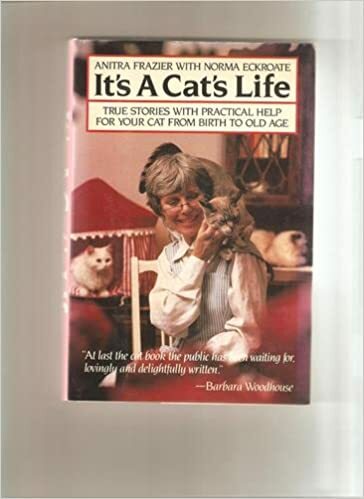 It was written by a woman who spent her life caring for cats. Cat sitter, vet tech, all sorts of different cat-related jobs. One of the lines in it stuck with me all these years: "Consistency breeds contentment in cats." I think I'm a cat. Guess what. This morning I had no Internet access. I'd like a day without problems. A day where it wasn't 90+ in my apartment. Today is not going to be that day.